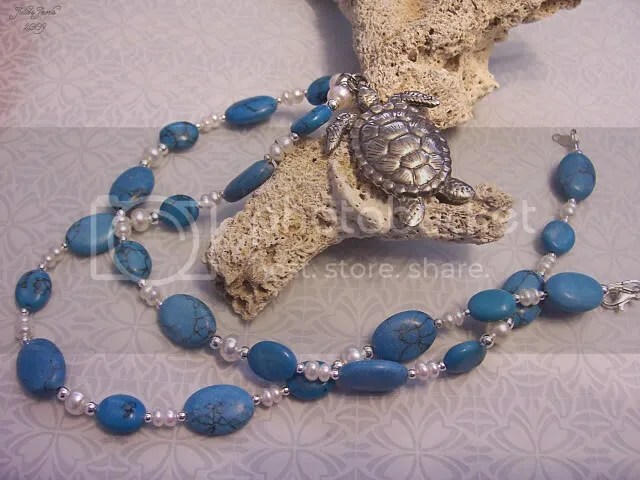 Today I put together this gorgeous necklace highlighting a beautiful Sterling Silver sea turtle. 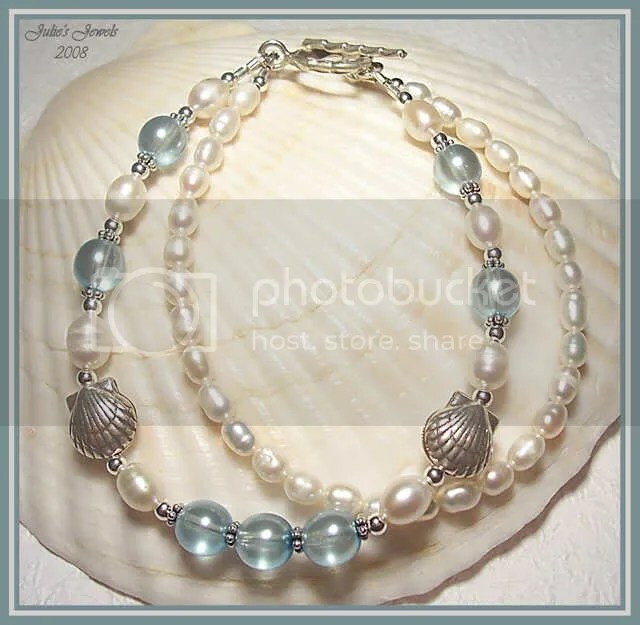 Lovely imitation Turquoise together with lusterious Fresh Water Pearls makes this a truly unique necklace, perfect for any occassion. my Fresh Water Pearls and Sterling Silver Cancer bracelet.